Colostomy Maintenance A Really Big Deal! Within a couple of hours, the conversations from the nurses began about the care that was going to be needed for me to properly take care of my stoma or in other words colostomy maintenance. I looked down and there it was. My new clinging buddy, my new partner for the rest of my life. I was in the hospital following my surgery, it was a new world for me. The first thing I realized was I was all hooked up to many things. I was tired, and sleepy, but mostly I was very thankful, that I had survived. My son and my wife were there for me. What did I know about caring for the ostomy? Great question, I really didn’t know much, nor had I really cared much about it before the operation. Now I had to know, as they told me good hygiene was essential. Proper care was needed daily and sometimes hourly. Much as going to the bathroom is totally natural to an adult, this was not natural to me at all. In fact it was very uncomfortable, weird and different. What world had I been thrown into? I had to listen up, and pay close attention now, the preservation of George was now at hand. But really it was very important for me to learn how to care for myself from this point on. When I was learning about my colostomy, one of the first things I learned was to make sure I changed the bag (the device) often enough. What did that mean to me? They said to change it often enough to make sure there wasn’t any spillage ever. In listening to them, it was more about maintaining cleanliness and a germ free environment. I heard stories about patients who didn’t do this correctly and would end up back in the hospital with infections. So okay, cleanliness is next to Godliness. Keep it clean, change the apparatus when needed. You will know when you need to change your device I was told. Sure enough I figured it out quickly. the next think was when changing make sure you clean up with sanitary skin wipes. Again keep it clean. Remove all residue from the stoma area. Next being a hairy guy, I needed to shave all the way around it. Again, clean, slick, and hairless. A clean germ free area to cover with the floating flange wafer that holds the bag. The last thing to mention is to make sure you treat the skin area around the stoma with a skin barrier prep. This will keep you from getting rashes and sores underneath the floating flange area. The big thing here is that normal perspiring, and just having that skin area covered most of the time, makes it an area that can get itchy, or even pretty sore relatively easily. As I go through the procedure please realize that one size does not fit all. This is what I do. We are all different, all of us may have a different looking stoma, that varies in size. Please use it as a guide for your information. I am sharing my experiences to maybe help you out. Step 1. I prepare my apparatus before I begin the changing operation. The reasons why I do this are to make sure I do not get started and I am not prepared for all scenarios that could come up. Step 2. What I use in the process. I prepare 5 sheets of paper towel, I get a new bag ready, I get a new wafer ready. I grab a skin prep to have ready. I also prepare my electric razor to use to trim up the area. Also I have one of the ostomy trash bags that come with the bags in the box ready to go, and I also have a plastic grocery bag as well. Step 3. Next I will check to make sure the bag has been emptied, that I am not passing gas, nor am I passing feces. You do not want to be changing the equipment if any of these things are currently in process. If you have a green light then go to step 4. Step 4. I start removing the bag and the floating flange attached together. I start at the top and proceed to pull off gently down. Gently works best because you are separating the well stuck wafer like piece from your skin. It pulls off, but it works best to pull off evenly and slowly. I then put the 2 pieced equipment into the ostomy trash bag. Then I fold up and put deep into the plastic grocery bag. Step 5. Now you have a totally exposed stoma. It needs to be cleaned off carefully with a warm cloth. I use paper towel with warm water. wash off gently and thoroughly. Next you will want to dry the surface area around the stoma. Step 6. I will now shave the area, very cleanly and very carefully not wanting to hit the stoma with the razor. Once this is completed, I will now wipe off again with a paper towel and warm water. This is to clean off the area again to prevent any infection. 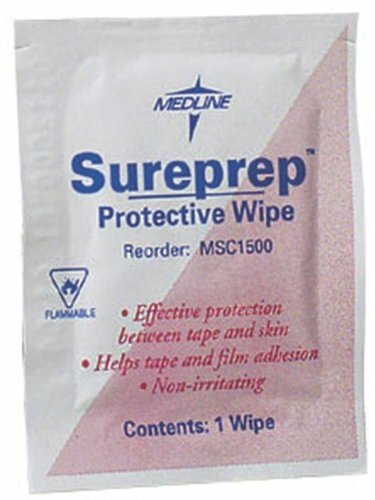 Medline Wipe Protectant Skin Sureprep, 50 CountSee Amazon Special PriceStep 7. To wrap up the process, you will need to treat the entire skin area around the stoma, the area that will be covered up with the wafer. After the tape protectors are removed then you will need to apply the wafer to be squarely covering the area over the ostomy. The last step in the steps is to securely snap the drain-able pouch over the wafer and snap it into place. The care provided for a colostomy patient is top notch. The doctors and the nurses are wonderful. They are well trained, polite and caring. The problem I found as I walked through the unknown jungle was that the do their job, but their job description is wanting for walking in the shoes of the patient. What I am saying is that they send you from hoop to hoop to qualify you for getting the care they have decided is the care that you need to medically survive the medical situation you now find yourself a consumed part of. I was consumed with my new life. How could I be anything but. It was all so new for me. I fought daily the feeling of accepting that I was a victim. You know the victim mentality that is so prevalent in the world today. I refused to accept that role. There was something good about this. I kept looking and looking. It was there in front of me. This may be my handicap but I refuse to let it define me. Everywhere I turned, no one seemed to have what I was looking for to try to pick my life up and move forward. Colostomy maintenance to me wasn’t just the basics of survival, but it became, finding the right clothes that I could wear in my life, it was making it possible for myself to travel long distance car trips again, without the fear having an accident while travel. I had to learn to put together a prep bag to have with me at all times. Colostomy maintenance was also about getting my situation where I felt comfortable in public again, over coming my fear of others seeing and noticing how different I now was that most people. I plan on covering these other areas on other posts. You see not one doctor helped with these areas at all. I hope I can help you out with some answers to the many questions that I had that I now have my answer for. So in handling my daily and weekly maintance schedule, I have found three different products to be used all of the time. 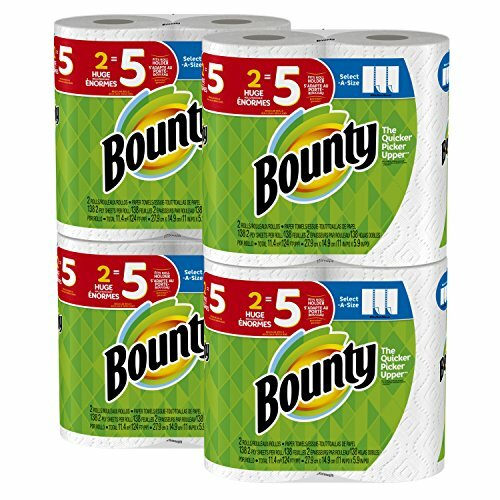 The Bounty paper towels are mentioned in the above 7 step list of things to do. The Medline Sureprep are the barrier prep cleansing and medicaiding strip cloths that I use in my ostomy pouch change over procedure. And last but not least is my electric razor. I use an electric razor because my skin in this area is very sensitive. So why risk shaving with a hand razor blade and shaving creme. This electric shaver works much better for me. It’s very effective in shaving close but with no irritation to my skin. 3 strong suggestions from me.